Trust SVAT® to make thieves and vandals think twice about approaching your property. 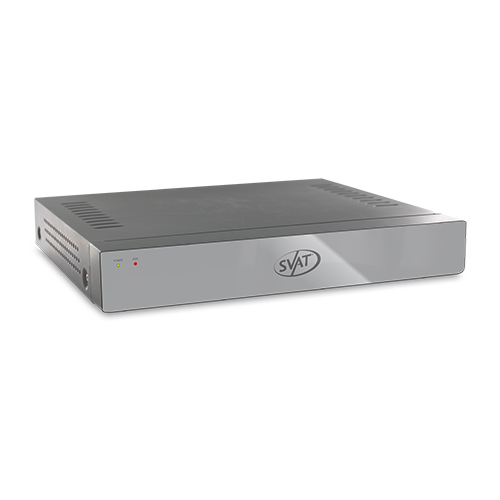 SVAT® systems function just like a computer, with a mouse for pointing and clicking and an intuitive icon-based menu for easy set up and use. View anytime, anywhere with remote viewing via internet, smartphone, and tablet and receive email alerts, with photo, when motion is detected on your property. Record over 2 years’ worth of footage on the included 500 GB hard drive. Connect up to four cameras to this 4CH system and monitor your business or home inside and out. Don’t give thieves a chance. Stop them with SVAT®!